If you love movies and food as much as us, we have great news for all of you. Cinépolis has launched a sumptuous menu, in collaboration with the globally acclaimed Chef Saransh Goila that boasts of 100 dishes! (yes, you read that right). The expansive menu includes numerous dishes made with fresh, handpicked ingredients that’ll keep you wanting for more. Anyone and everyone who loves snacking while watching a movie. Ditch your usual orders for an even better and delicious menu, only at Cinépolis! The new menu has a range of 100 dishes with over 40 new ones. We’re talking innovative and flavoursome combinations like Nachos Bhel, Seekh Bun, Nawabi Pav and much more! Try out everything from Margarita Pizza, Chilli Cheese Maggi to Red Velvet Cake and Vanilla ‘n’ Chocolate Ice Cream. Love all things Nutella? Try their new offerings - Nutella Pav and Nutella Peanut Butter Pav! 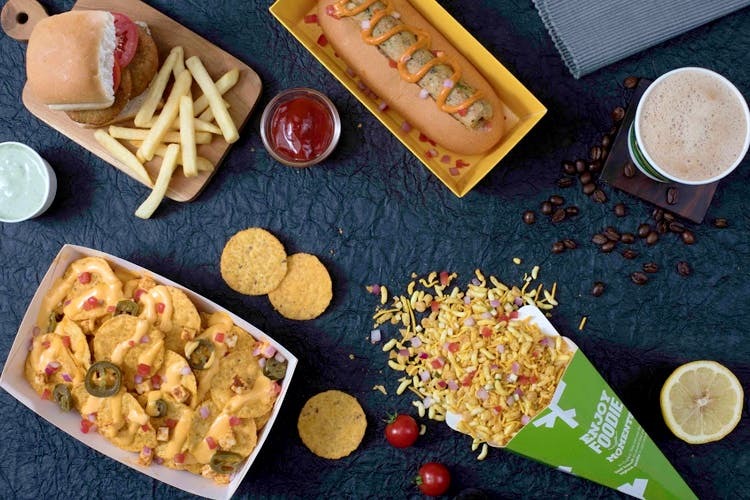 So, go grab delish munchies from Coffee Tree, Concessions and Cinépolis VIP. What are you waiting for? With Kalank and Brahmastra coming up, we're giving you all the reasons to book your tickets in advance at the Cinépolis!